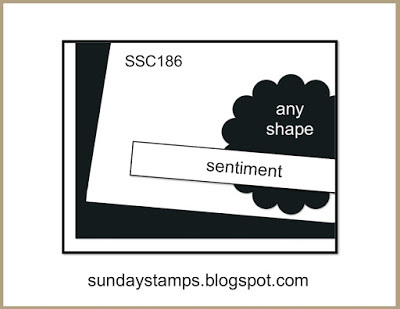 This is my take on the sketch at Sunday Stamps#186 here. 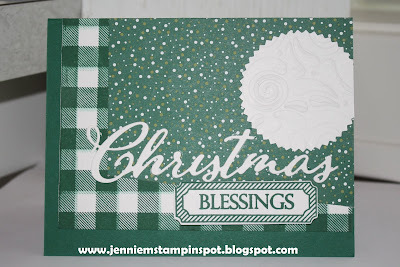 Shaded Spruce is the focus of this card with some Whisper White. Buffalo Check background was used for the plaid. And then there is some Under the Mistletoe DSP with the Merry Christmas to All stamp set and coordinating Merry Christmas Thinlits. I punched out the WW piece with the Starburst punch and ran it thru the Swirls and Curls embossing folder. Beautiful monochromatic card! Thank you for joining Sunday Stamps this week.